This was delicious! Why haven’t I ever made this simple, hearty, and satifying dish?! While the potatoes are cooking, preheat the oven to 400 degrees. Heat the olive oil in a large skillet over medium heat. Add the onion, carrots and celery then cook until tender, about 4-5 minutes. Add the lean ground beef and cook thoroughly. Add the salt, pepper and Worcestershire sauce. 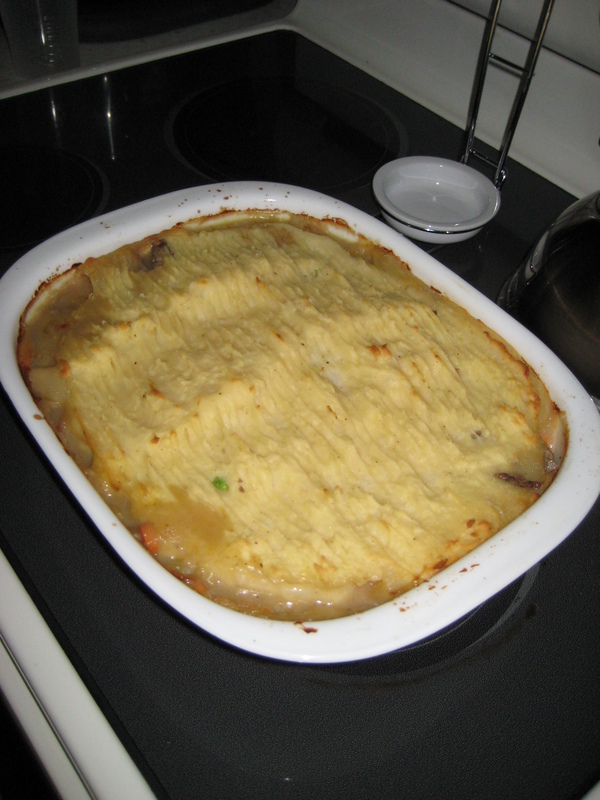 Once the beef is done cooking, mix the peas into the mixture until well combined. Pour the beef filling into a large baking dish and set aside. In the same skillet over medium heat, add the 2 tablespoons of butter and 2 tablespoons of flour. Mix thoroughly then slowly add the beef broth. Season with sea salt and pepper. Pour the sauce over the beef mixture and mix thoroughly. 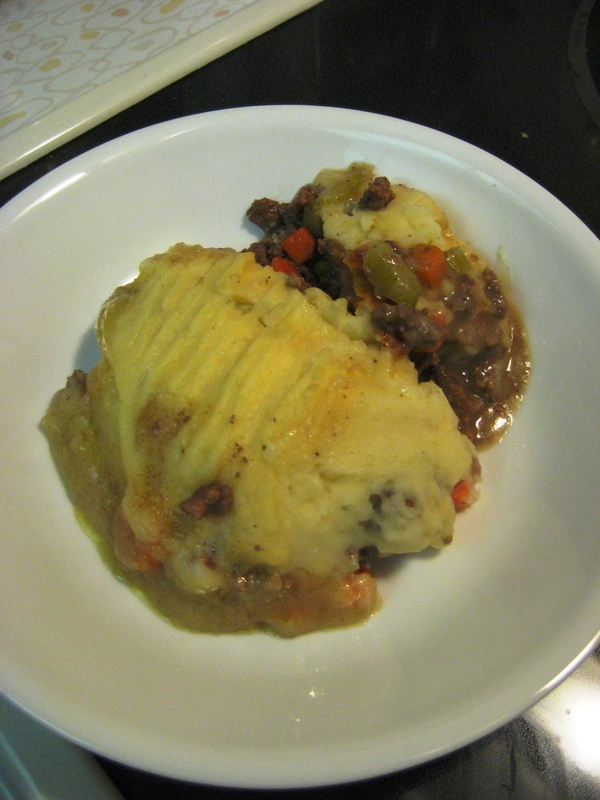 Top the beef and vegetable mixture with the mashed potatoes. Bake for 30 minutes. Let cool for a few minutes before serving. Enjoy.